New Delhi, India: Low Price Publications/D.K. Publishers Distributors Pvt. Ltd. Printed Pages: 213.. Softcover. New. New Delhi, India: Konark Publication/D.K. Publishers Distributors, 2014. Printed Pages: 245.. New. 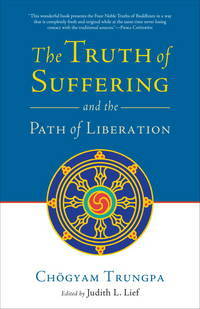 New Delhi, India: Shambhala Publications/TBI The truth of life has never been better or more succinctly articulated than in the Buddha's teaching on suffering, its cause, and its cessation--the famous formulation known as the Four Noble Truths. This concise handful of words is in fact the foundation from which all subsequent Buddhist teachings grow, and upon which all of them rely. Their wisdom is as pertinent to the scholar of Buddhist philosophy as it is to the ordinary practitioner, as it is indeed to anyone, anywhere, who aspires to liberation. Ch gyam Trungpa's in-depth exploration of the Four Noble Truths reveals the subtlety and sophistication that lie beneath these deceptively simple teachings. He emphasizes their profound relevance not just as an inspiration when we set out on the path but at every other moment of our lives as well, showing how we can join view (intellectual understanding) of the teaching with practical application in order to interrupt suffering before it arises. His teaching is, as always, refreshingly direct and profoundly inspiring. The Truth of Suffering is an ideal introduction to the Four Noble Truths for the beginner as well as for the experienced practitioner in search of deeper understanding. Printed Pages: 155.. Softcover. New. 14 x 22 Cm. New Delhi, India: Snow Lion/TBI Best known as Machig Labdron's teacher, the Indian mahasiddha Padampa Sangye is counted as a lineage guru by all schools of Tibetan Buddhism. He brought the lineage of Chod to Tibet, carried the Buddha's teachings to China, and is even asserted in the Tibetan tradition to have been the legendary Bodhidharma. Padampa Sangye's teaching methods were unorthodox and sometimes extreme. This transcendent and irascible teacher encouraged his disciples to disregard social conventions, disdain social contacts, and go beyond their cultural conditioning. He inspired innumerable highly realized disciples, many of whom were women. 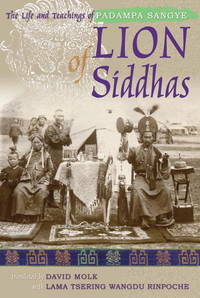 "Lion of Siddhas" presents two extraordinary texts: a biography of Padampa Sangye, and a rare collection of his verbal and nonverbal teachings called "Mahamudra in Symbols," recorded by his chief Tibetan disciple almost a thousand years ago. Both are previously untranslated. Printed Pages: 336.. Softcover. New. 15 x 23 Cm. New Delhi, India: D.K. Printworld (P) Ltd., 2017. This volume critically examines six epistemological theories of the Advaita school of Vedanta: pratyaksha (perception), upamana (comparison), anupalabdhi (non-cognition), anumana (inference), arthapatti (postulation) and shabda (testimony). To make the study smooth and easy, it deliberates on two other concepts prama (conceptions of knowledge) and pramana (methods of knowing) as these underlie all epistemological discussions.The book highlights the problems, concepts and theories of the Vedantins within the focus of modern Western thought. The method adopted is one of critical analysis, comparison and evaluation. It also tries to formulate some important epistemological doctrines of Advaita Vedanta and show by some criticism that, if rightly understood, they are valuable contributions to the philosophy of the world.The book, targeting sceptical students trained in Western philosophy and an imagined tribunal of Western philosophers, tries to make a case for Advaita Vedanta, and thus is expected to usher keen interest among the students, teachers and followers of Advaita Vedanta. Printed Pages: 360. . First Edition. Hardcover. New/New. 15 x 23 Cm. New Delhi, India: D.K. Printworld (P) Ltd., 2017. Contents: Preface. Introduction. Part I: Samsara. 1. Karma and Rebirth. 2. Space and Time. 3. Substantiality and Causality. 4. Continuity. Part II: Life, Consciousness and Knowledge. 5. Life and Consciousness. 6. Autopoiesis as Systems View of Life: Some Problems and Its Reconciliation. 7. Problem of Knowledge and Perception in Advaita Vedanta. Part III: Nirvana. 8. Concept of Nirvana in Buddhism. 9. Liberation (Moksha) in Advaita Vedanta. Bibliography. Index. A unifying vision between Samsara and Nirvana has been presented in this study by placing human beings at the centre of the universe. Once this is accepted, the role of God turns to be nothing. This fact is not acceptable to most of the schools of Indian philosophy because of their strong faith in Brahman (God) as the creator of the universe. In that, this study raises the fundamental question. Why Brahman, being the creator, sustainer and dissolver of the universe, has taken such a long time of more than three billion years after the solar system to provide the conditions for the evolution of human life? Since the first cause of universe is the most difficult question, it is suggested to see the creator on the creation itself. An inference has been drawn that the action (karma) of human beings cannot be treated as ignorance, once it is accepted that human beings are at the centre of the universe. We human beings have nothing else except the freedom of action (karma). In fact, karma itself is freedom. This volume, in a way, an offshoot of the authors earlier work, Science of Consciousness draws the inferences based on the different systems of Indian philosophy and the philosophy of the West. Printed Pages: 386.. First Edition. Hardcover. New/New. 15 x 23 Cm. New Delhi, India: Sounds True/TBI 20th Anniversary Edition Featuring a New Preface from David Deida Though much has changed in society since the first publication of The Way of the Superior Man, men of all ages still "tussle with the challenges of women, work, and sexual desire." Including an all-new preface by author David Deida, this 20th-anniversary edition of the classic guide to male spirituality offers the next generation the opportunity to cultivate trust in the moment and put forth the best versions of themselves in an ever-changing world. In The Way of the Superior Man, Deida explores the most important issues in men's lives--from career and family to women and intimacy to love and spirituality--to offer a practical guidebook for living a masculine life of integrity, authenticity, and freedom. Join this bestselling author and internationally renowned expert on sexual spirituality for straightforward advice, empowering skills, body practices, and more to help you realize a life of fulfillment, immediately and without compromise. Printed Pages: 224.. New. New Delhi, India: Vij Books India Pvt. Ltd., 2010. Printed Pages: 195.. Softcover. New. New Delhi, India: Christian World Imprints/B.R. Publishing Corporation, 2017. Printed Pages: 272.. Hardcover. New/New. New Delhi, India: Christian World Imprints/B.R. Publishing Corporation, 2017. However complex and mysterious, religion in some form is integral to human life as evident in history and therefore cannot be divorced from study and analysis. The alternative term `spirituality' appeared to ward off the ambiguous characters of religion, but it has not proved to be less complex. Explicit religions claim to possess the resources of spirituality while often maintaining a dichotomy between spiritual and material. An alternative understanding of spirituality is presented as permeating all aspects of life. The concept of implicit religion and secular spirituality, unlike the established religion, is exploratory with open boundary. However, it cannot remain a concept in the intellectual realm but be applied to contexts like India where religious life is vibrant within a secular polity where struggle for legal and eco-justice continues.The essays of this book provide a commentary on these issues. Further, insights, instincts and impulses to work for change at great personal risks deserve an in-depth exploration. Printed Pages: 188.. Hardcover. New/New. New Delhi, India: Harper Collins India Printed Pages: 400.. Hardcover. Fine/Fine. New Delhi, India: Motilal Banarsidass Publishers Pvt. Ltd. Printed Pages: 690.. Softcover. New. New Delhi, India: Christian World Imprints/B.R. Publishing Corporation, 2017. Printed Pages: 216.. Softcover. New. New Delhi, India: Vij Books India Pvt. Ltd., 2010. Printed Pages: 269.. Softcover. New. New Delhi, India: Christian World Imprints/B.R. Publishing Corporation, 2017. The book is primarily on the life and contribution of Dr. John Roberts as a Christian missionary against the background of his times. He was the Founder-Principal of the erstwhile Cherra Theological College, established in 1887 at a place popularly known as Cherrapunji, officially called Sohra, Meghalaya, India. In 1994, the College was shifted to Mawklot, Shillong and renamed as `John Roberts Theological Seminary'.The main aim of the present work is to discover John Roberts as a preacher, teacher, pastor, translator and author; who spent over 37 years in growing and developing Church on the Khasi Hills. This scholarly research will be an important resource not only to theologians and historians but also to missiologists addressing their questions aimed at seeking to understand the culture and society in which the church is situated. Printed Pages: 504.. Hardcover. New/New. New Delhi, India: Vij Books India Pvt. Ltd., 2010. Printed Pages: 250.. Softcover. New. New Delhi, India: Motilal Banarsidass Publishers Pvt. Ltd., 2017. Printed Pages: 690.. Hardcover. New/New. New Delhi, India: Vij Books India Pvt. Ltd., 2010. Printed Pages: 206.. Softcover. New.